Yeah, it’s been awhile since our last post but there hasn’t been much to blog about since we started on the master bedroom/bathroom remodel project in our sticks-and-bricks house. The only travel has been a couple of solo back-to-back business trips to Massachusetts and then to Colorado – definitely nothing blog worthy there. So, it being my birthday, we decided to do a day trip into Houston and do what we would do if we were on the road – eat good barbeque and visit a brewery! 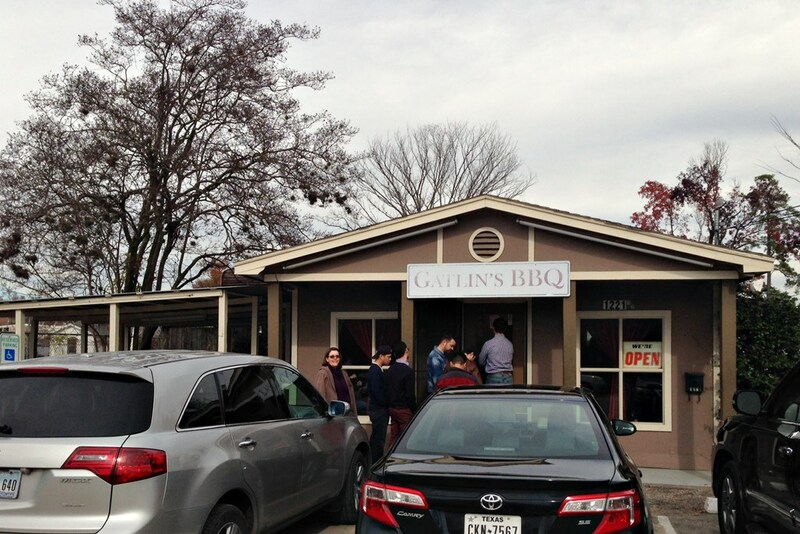 The best barbeque we’ve found in Houston, by far, is Gatlin’s BBQ in the Heights. We know the routine: get there early, wait in a long line, order and enjoy! Our timing was excellent and we lucked out getting one of the three tables inside. 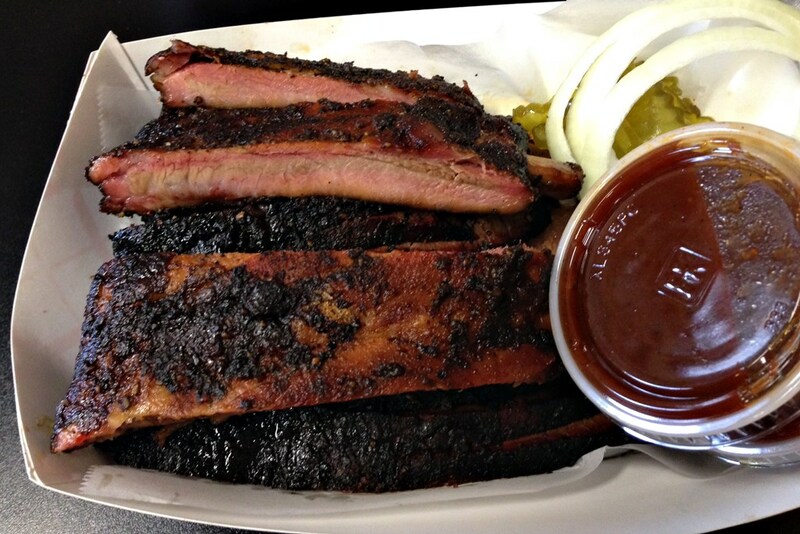 Karen had the sliced brisket sandwich and I ordered brisket and ribs. We both agreed that we have to do this more often! 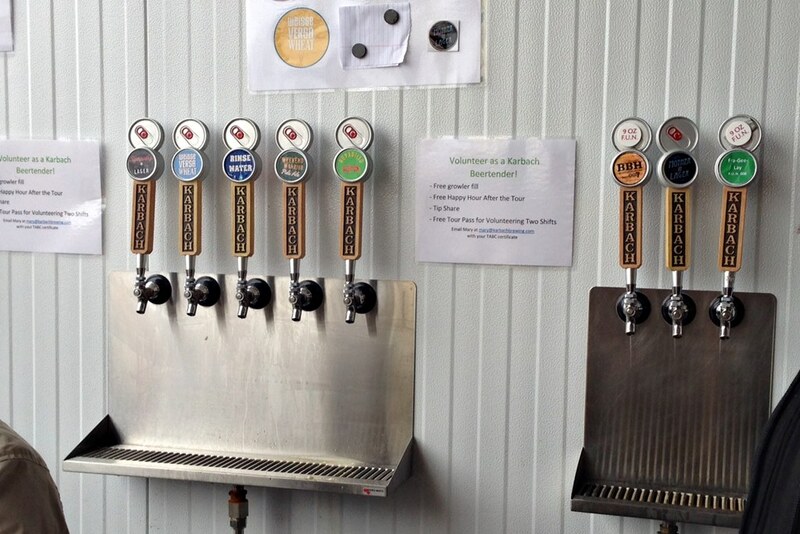 Since it was Saturday, there were a few choices regarding brewery “tours”. 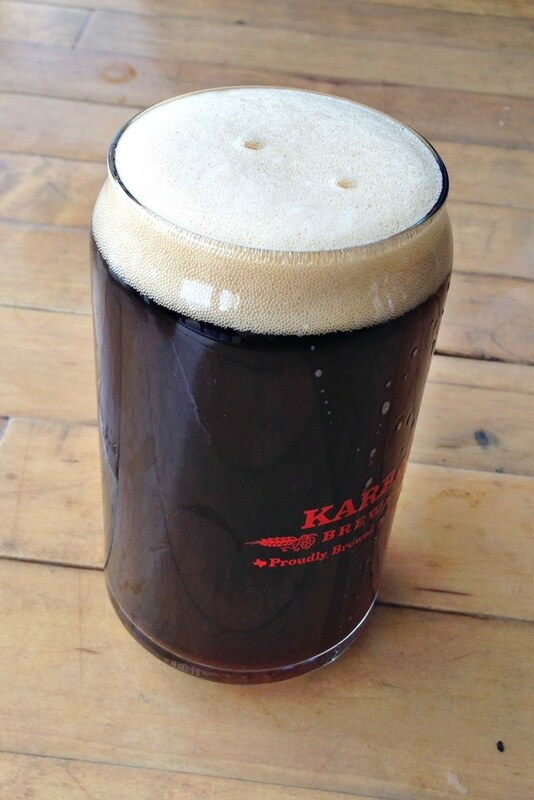 The one we chose was Karbach Brewing Company because we’ve never been there before and it was close by. For our first beer we both had their Mother-in-Lager which was good, refreshing and tasted much lighter than it’s dark color would suggest. Our favorite beer today, though, was the Sympathy for the Lager, an amber-colored, crisp and delicious, Bavarian-style lager. We had found a couple of empty seats at one of the community tables and had a great time meeting new friends, Pong & Jackie and Jeremy & Crystal and talking beer, travel, family and faith. As an added bonus to what was already a great day, we spotted this VW bus driving by just as we pulled out of the parking lot. We had to chase them down a little way to get the photo but that’s what we do when we travel, even when this close to home. 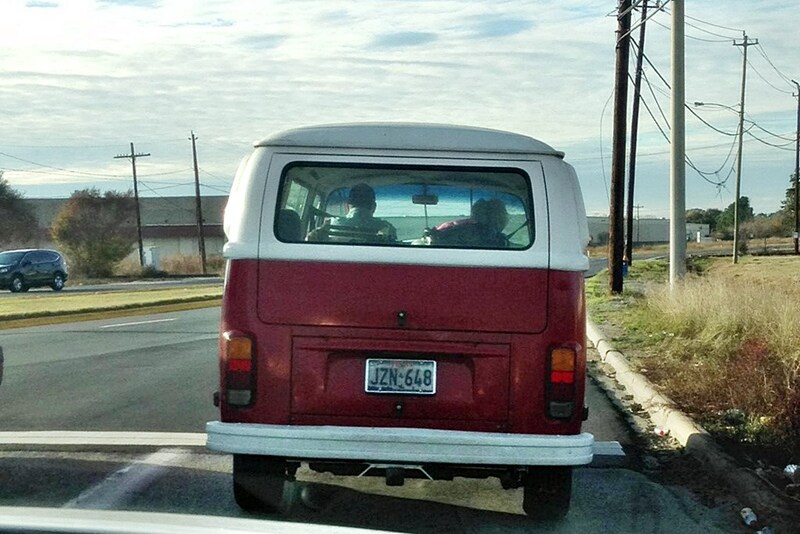 This entry was posted in Barbeque, Beer, Texas, VW Bus and tagged Barbecue, Barbeque, BBQ, Beer, Breweries, Brewery, VW Bus. Bookmark the permalink. We had such a great time meeting and chatting with you both. Anxious to see where 2014 takes you. 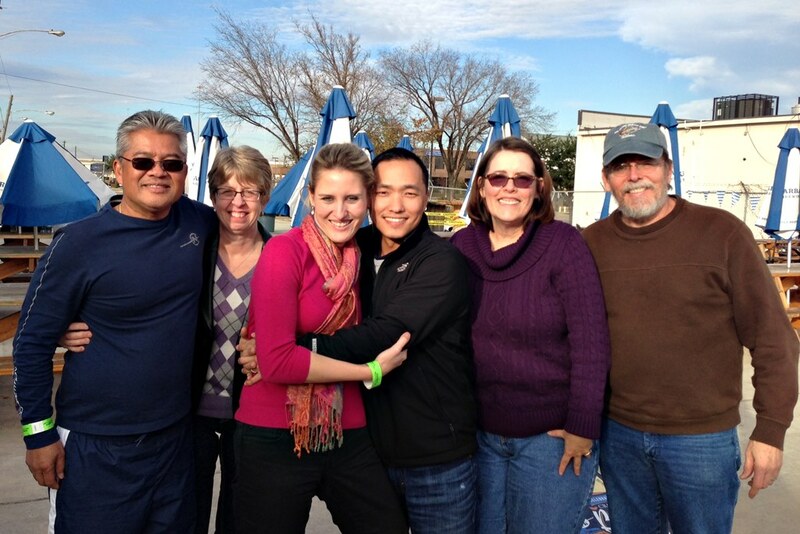 We had a lot of fun at Karbach, too. Sure was good meeting you! Great and nice blog. It’s also very interesting. We also have a website about Best pizza in Grapevine . That looks great! We will definitely be there on our next stay in Grapevine. Cool! So many buses in the PNW and so few down here!